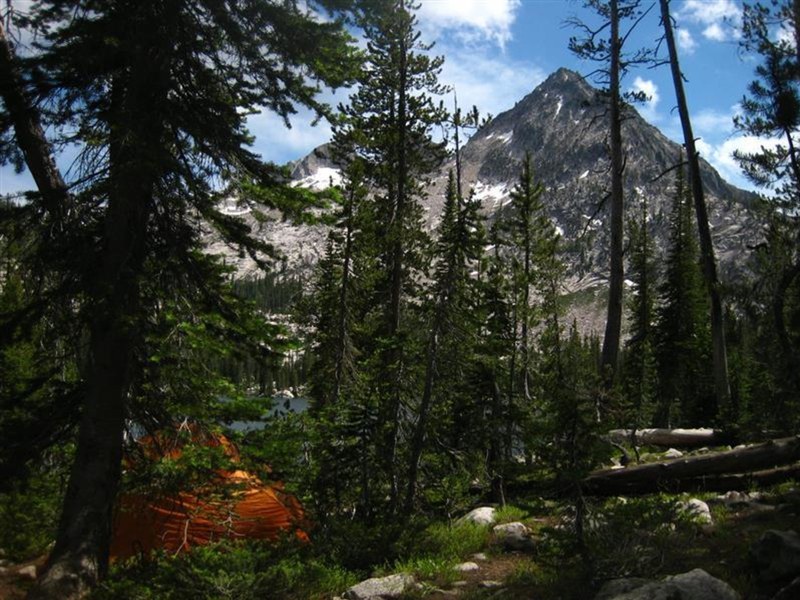 A stunningly beautiful 2-3 day backpacking loop, Toxaway to Alice Lake is a magical experience, connecting gem-colored lakes nestled below sharp, dramatic peaks and ridges of the Sawtooth Mountains. Yes, technically they are supposed to be leashed from July 4 – Labor Day. Use your best judgment. No fees, fill out a backcountry permit at the trailhead. 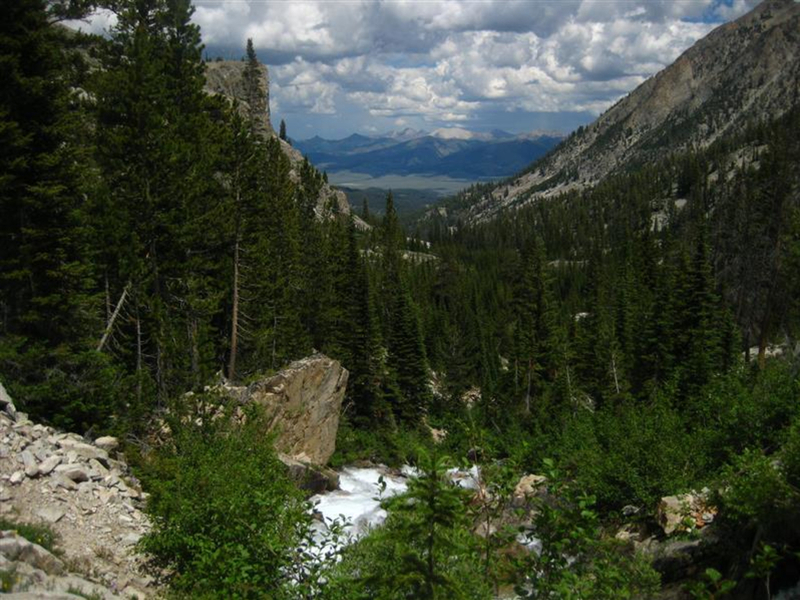 This loop is in one of the most spectacular wilderness areas and is the author’s favorite backpacking loop. Anywhere. 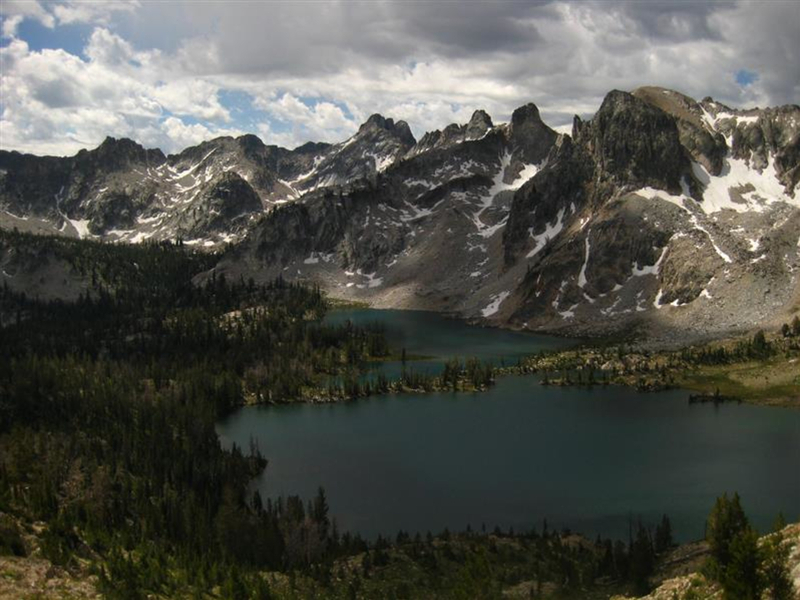 The Sawtooth National Recreation Area, or SNRA, was at several times (in 1911 and later in the 1960’s) up for consideration of being designated a National Park, and for very understandable reason. Incredibly dramatic, jagged granite peaks and ridge lines separate beautiful valleys of pine and meadows of tall grasses and willow. Rushing creeks and waterfalls are constantly carving the valleys ever steeper, stopping only now and again to pool into pristine gem-colored lakes in basins that step down from high alpine elevations to the valley floor. 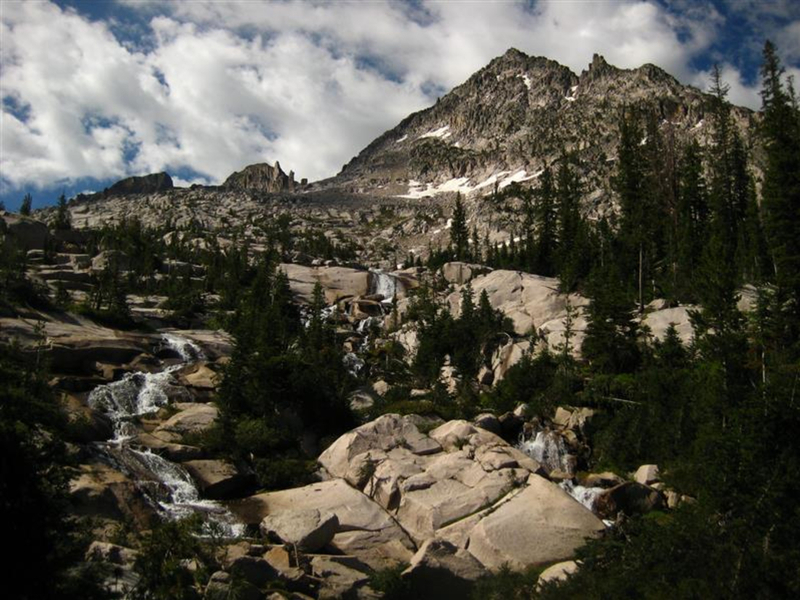 With great thanks to the wise, estimable Frank Church and other advocates, the Sawtooths along with the Boulders and White Clouds were designated a National Recreation Area in the early 1970’s. 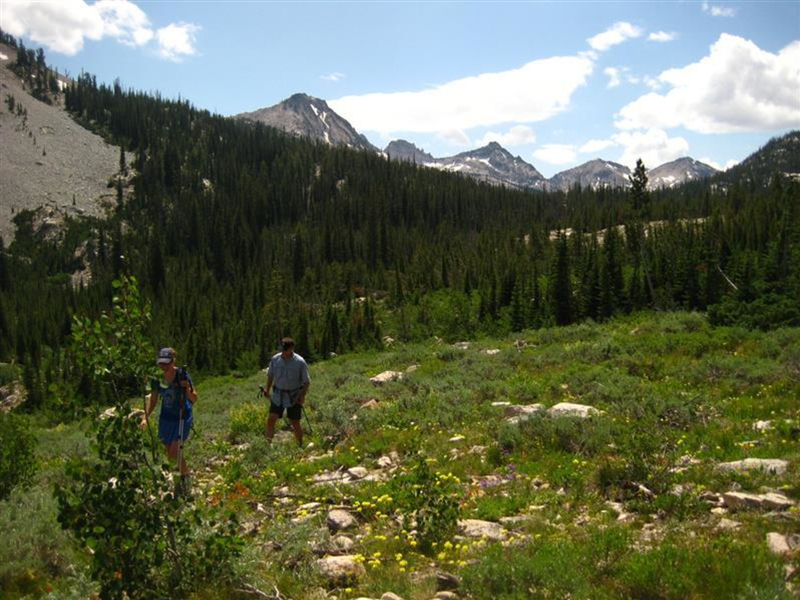 Its non-National Park status may be one reason the trails never seem too crowded and hikers rarely come across more than a few other small parties on the trail. Starting from the Tin Cup Trailhead at Pettit Lake campground at an elevation of nearly 7,000 feet, hike in a counter-clockwise direction through pine forests towards McDonald Lake. The trail towards Farley Lake and your final destination, Toxaway Lake, meanders through fragrant pine and climbs slowly back and forth along the creek. There is one creek crossing that will require scrambling across a log or, more recommended, a removal of shoes for a low ford. 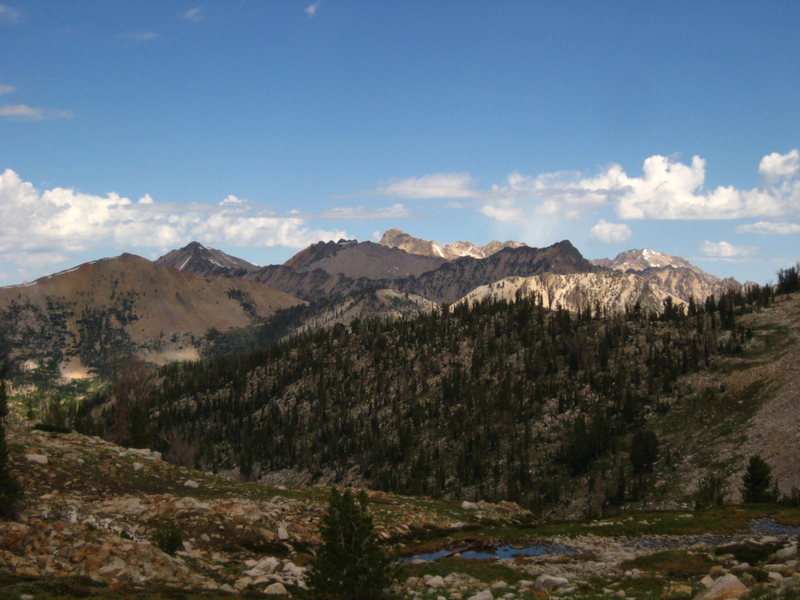 The 7.5-mile hike to Toxaway Lake climbs up a ridge that provides jaw-dropping views of the Sawtooths around you and to the White Cloud Mountains across the valley behind you. Take your time to soak in the views, remembering to reapply sunscreen often at these higher elevations! There are many places to set up camp along the northeastern shore of Toxaway – find a spot to sit back, relax and watch the sunset turn the deep teal blue lake into gold. The challenging 4-mile hike from Toxaway to Twin Lakes is through more exposed high alpine terrain, switch-backing up to a pass at nearly 9,500 feet. It is possible to find some snow here into early July. The rocky trail drops down steadily to Twin Lakes and though you’re going down, don't plan to go fast. The views of the range that open up before you will stop you in your tracks, so keep your camera handy. 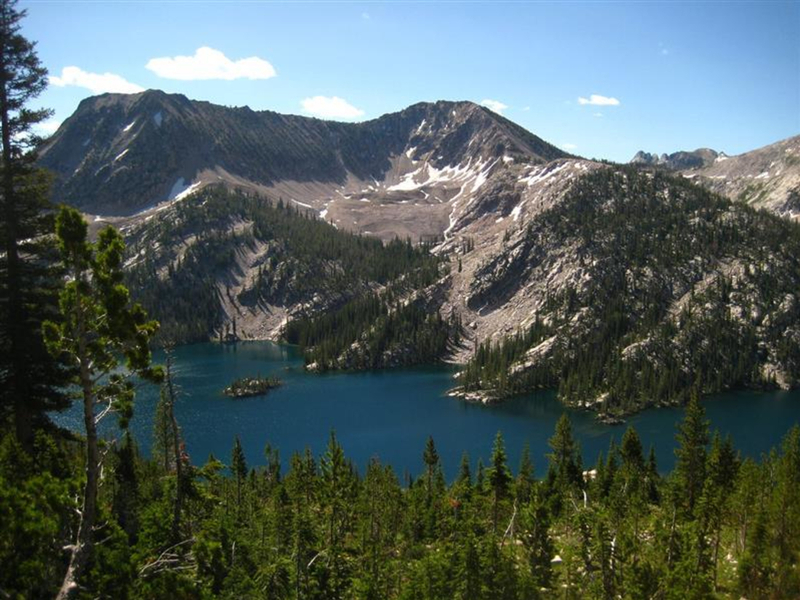 The turquoise Twin Lakes are a favorite spot for camping and, as most day hikers stop at Alice Lake, you’ll oftentimes find the area all to yourself. Take the little spur trail that leads down to the lakes to find many flat, open places to camp along the shore. On the last morning, watch the sunrise and light up the peak across the lakes. Head down trail for 2 miles to Alice Lake and continue on the rocky trail along an exposed hillside encountering 2-3 more creek crossings along the way. 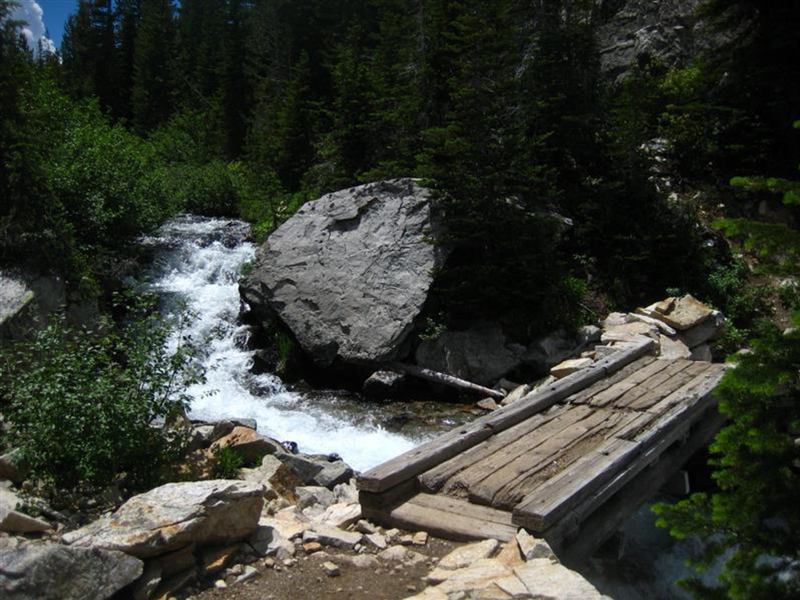 Depending on the time of the season, the last creek crossing can be thigh-high from snow melt; cross in the morning for the lowest water level. The 6 miles from Alice to the trailhead weave in an out of aspen, pine and exposed hillsides and across the creek countless times. The pine forest becomes denser as you near the western end of Pettit Lake, a welcome site after three great days of hiking. Hike high up above the lake slowly descending back to the trailhead. Round trip miles are just shy of 19. Hiked in both clockwise and counter-clockwise directions, some folks opt to do this loop in 2 days, camping at either Twin Lakes or Toxaway. It can also be done in a single day as a long trail run. After your trip has been completed, head up the highway towards Smiley Creek Lodge and treat yourself to a delicious meal or a hand-dipped milkshake. If you are looking for a weekend backpacking trip without having to fight for a campsite, this adventure is for you! You can take your time and stretch it out to a few days, and you will be rewarding with amazing views! Depending on your direction of travel to the trailhead, stop by one of the SNRA ranger stations on highway 75; there is one just south of Stanley and another between Ketchum and Galena Lodge. The rangers at both stations are incredibly helpful and can provide current trail conditions and recommend any special precautions regarding burn areas, snow remaining from the winter and level of water in the creeks that require crossing. They also can provide free copies of trail maps and sell USGS green maps. Be sure to take bug repellant and sunscreen.